The popping sound is produced as a result of steam coming out of the deposits as the water gets heated up. It’s a result of mineral deposits that accumulate on the bottom of the tank. The in-line water filters in the system remove most of the particles in the water, but there are other microscopic that manages to penetrate through. Even rusting inside the water tank sometimes causes build-up in the tank. The particles move at the bottom and as time goes they form a build-up. To avoid this menace, you require carrying out periodic maintenance on water heaters to clear any form of build-up. Flushing the tank with a lot of cold water is the common of removing sediment. However, not all the time that you flush that popping stops. In such a case you need to take more measures. Sometimes you are even made to call for a plumbing professional to help out. Below are steps on how to solve this noise issue. 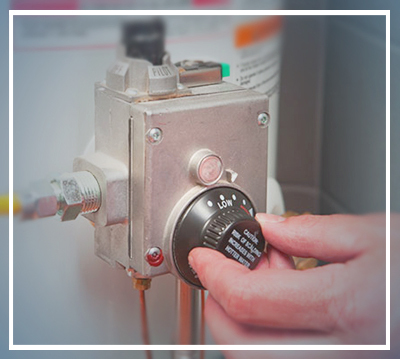 As you are aware, you cannot work on the water heater system when the supply is on. You must turn off the cold water inlet pipe at the top of the tank by just turning the knob clockwise. For the gas water heater, you need to turn off the pilot. For the electric water heater, you must power it off before doing anything on it. This is to avoid electric shock which at some point can be fatal. You should disconnect completely from the power supply. The time you think to check why there is popping in the tank means that the heater was on. You should wait for the water to cool to avoid injuries from hot water. You can give it a minimum of two to three hours. If you want it to cool within a short time, you can switch off the power and let the cold water continue to flow in and out. However this will put most of your water into waste, so it’s advisable to wait for it to cool. After the water has cooled to a safe temperature, you can now move to the next step. In this step, you need a hose pipe and connect it to the drain near the bottom of the tank. Ensure that you tightly fix it to avoid flooding of water in case of disconnect. On the top of the tank, flip up the pressure release valve by use of hand to avoid breakage or use the required tool wisely. Move to the drain valve and open it anticlockwise. Sometimes you may encounter tightly fixed when your hands are unable to open. Use the required like the adjustable pliers to open it. Let the tank to empty completely after which you close the drain valve by use of a hand. Don’t remove the hose pipe. 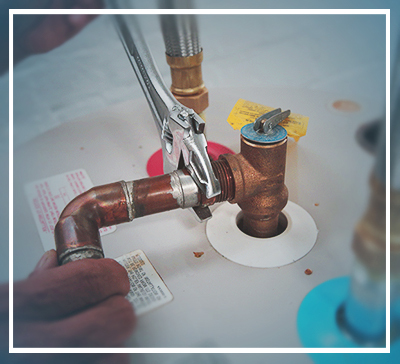 Using a pipe wrench, loosen and detach the hot water pipe at the top of the tank. Separate it with the tank. Insert a funnel on the opening and pour the de-liming solution into the tank. Ensure that you have measured the correct amount. This is based on the capacity of your tank. Take a thread tape and wrap the threaded pipe on the tank. Using the pipe wrench, fix back the hot water pipe fitting tightly. Using your hand, open the pressure release valve. You can use the necessary tool to open it in case it tightly fitted. Let the cold water flow inside the tank until it’s full. This is to ensure that there is no air left in the tank. You can now close the release valve. Earlier we mentioned that you disconnect the electric power to avoid injuries. At this point, connect it back and turn on the water heater system. Allow the water to heat up. This will depend on the amount your tank can hold. Before using the lime, you should ask an expert on the time that you should take to de-lime it from the tank. Using that knowledge, wait for the right time and turn off the power or the control system. Again as mentioned earlier wait for the tank to cool to avoid injuries. After two or three hours open the drain valve and allow the mixture to flow out until it’s finished. Close the drain valve again for the next step. Using the pressure release valve refill the tank again and allow it to indicate when the water is full. Switch on the power or the controls and wait for the water to heat up. Wait again for the water to cool and drain it. After completing draining the water, remove the hose pipe and fix the original drain pipe again. You can now fill the tank again and heat the water again. This ensures that all the lime and sediment is cleared off the tank. This time you can use the water as it is safe for usage. If you experience popping again at this time, just call HWB, and we will be glad to help you out.